I’ve been experimenting with health and wellness protocols for over two decades. 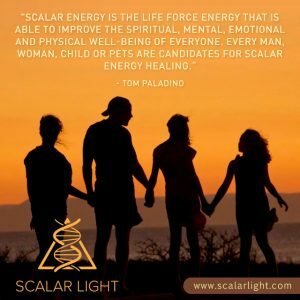 Tom Paladino’s Scalar Light free trial treatments have brought incredible, what could be called miraculous, results to myself, and my cats. I have to share his work with clients, and everyone I know. This really works. Try it for yourself, for free! It’s as easy as this. 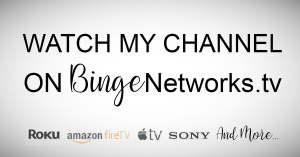 Click on the images below, or HERE, to go to Tom’s site, and you can sign up for a free trial of your choice! It’s completely confidential! You only have to upload a picture of your skin! And, you can upload pictures of your family members, including pets, and friends, so they can try it out, too! How does it get any better than that? You can contact me, or Tom’s company, directly, with any questions. Scroll down for more information about Scalar energy possibilities. “Over 100 years ago, an inventor by name of Nikola Tesla was the pioneer of scalar energy research… and he is also the most suppressed humanitarian in the history of mankind. Tesla discovered that scalar energy offers direct control over nature and perfected the transmission of this Life Force energy. “The history of science shows that theories are perishable. With every new truth that is revealed we get a better understanding of Nature and our conceptions and views are modified.” ~Nikola Tesla, Father of Scalar Energy Today, Tom Paladino, a humanitarian and scalar energy researcher carries on the legacy of Nikola Tesla… offering to the world… numerous health benefits to be derived from scalar energy. 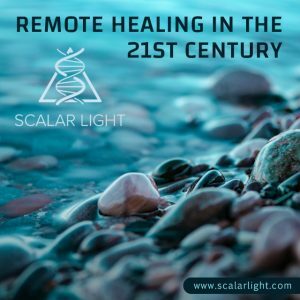 Welcome to the 21st Century… the era of remote healing. 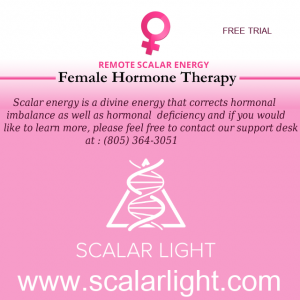 Scalar Energy is a wellness modality. We like to call it a new “portal” to wellness. Tom Paladino and his Scalar Energy instruments are the answer to pathogenic disease. As you know, we offer free sessions to anyone curious to experience what this new wellness modality could do for them. You will be able to validate that your pathogens have been eradicated (transmuted) with a test called the PCR test or “polymerase chain reaction test.” You and your physician can order a polymerase chain reaction (PCR) test from Quest Diagnostics or other qualified labs. The cost of a PCR test can range from $200 to $300 dollars. The PCR test is probably the most accurate diagnostic test available to detect either the presence or absence of a pathogen. 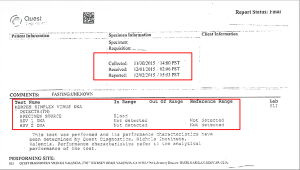 NOTE Regarding PCR testing: After 3 months on Scalar Sessions is the best time for PCR testing to assure that all fragments of the pathogen’s DNA/RNA nucleotides are gone from the body. Understand that from the VERY FIRST session you will not be able to pass a pathogen to another person. Most all symptoms associated with that disease begin to abate. However, a herpes sufferer who has severe damage to nerves may continue to have outbreaks until the nerves are healed, but the exudate material is non- contagious. It’s quite clear that this quick, remote and painless method is ideal for anyone of any age ANYWHERE in the world. But transmuting pathogens is not the only benefit of what can be done with these unique instruments. Q: How Does Scalar Energy Form Nutrients? A: The assemblage of nutrients is another function of Scalar Energy. Just as Scalar Energy can “break apart” or transmute matter such as pathogens, the scalar wave can also perform assemblage. In this case, nutrients. Tom’s equipment is able to assemble nutrients just by using elements already present in the body, many could benefit from increased nutritional support without complication of mal-absorption. The Scalar Energy Nutrient Therapy forms essential nutrients such as vitamins, minerals, amino acids, antioxidants, phytochemicals, fatty acids, collagen and enzymes to the cells that are optimal for health and function of those cells. This therapy eliminates the guesswork of absorption and delivery. These nutrients could further assist in the healing process one pathogens are cleared. A person could choose to continue with any supplements that they usually take or decide not to. That is personal choice. Some of the nutrients assembled are very important for development of brain cells, nerve sheaths, bone and more. The Nutrient Therapy Program are part of the STANDARD SCALAR SESSION PACKSGE are not the same as the Natural Foods Therapy. The Nutrient Therapy Program assembles over 340 micro-nutrients inside every cell of the body and The Natural Foods Programassembles a profile of foods so many nutrients are assembled per each food. NOTE: The Natural Foods Therapy is a SEPARATE program and a stand-alone. Q: I am curious but nervous and I am not sure I understand what this Really IS. A: Scalar Energy originates from the Sun and the stars: Scalar Energy is sunlight and starlight. Scalar Energy = Life Force… so to be able to harness the life force energy and direct it toward people or animals to optimize energetic harmony and enhance wellness and being is truly an amazing opportunity for humanity. Along with the physical benefits of Scalar Energy, this modality also affects our brain waves, hence changing the way we perceive our world. It is now possible to harness the life force energy and direct it toward people or pets thus optimizing energetic harmony and enhancing wellness and well-being. Changing ones “state of being” in an instant may sound too-good-to- be-true but we have entered into a new era of healing. Much like gravity, it is something we cannot see with our eyes, but rather “experience” the effects of. Who would have thought we could reach another being in an instant? Cells phones are now a big part of our everyday life even if we don’t quite understand the mechanisms behind HOW they work. But the ancients did know about this ability. Here are (2) energy practices you may be more familiar with or may be using. Scalar Energy is sunlight and serves to produce a state of happiness or euphoria. 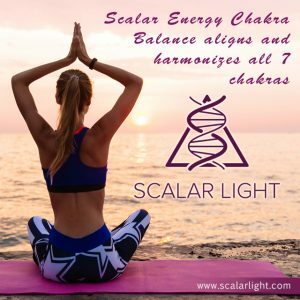 In specific, the Scalar Energy sessions directly influence our emotional and psychological state as our 7 chakras and our brain waves are balanced by this pure “Life Force” Energy. 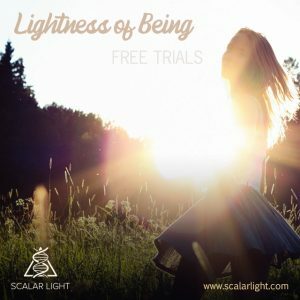 As a result, the Scalar Energy sessions produce a feeling of euphoria similar to that as experienced by a day at the beach or a walk out in nature. We often hear that life’s little stressors “roll off their back” much easier when using our sessions. Prayer and Meditation Scalar Energy is the intelligence of the universe. All spiritual, cognitive, emotional and physical action is controlled by Scalar Energy. Hence, Scalar energy is the primal force responsible for prayer, meditation, imagination, planetary motion, molecular bonds, etc. Scalar Energy serves as “instructions” for the universe. Q: What if I am allergic to certain foods? Should I try the Natural Foods Program? A: Since the commencement of our Natural Foods Program we have yet to receive any emails or calls where a person was unable to use the program due to a food sensitivity or allergy. The Natural Foods program “forms” all components of a food so it is not the same as chewing and ingesting the food through the GI tract or attempting to assimilate nutrients taken in. The food components are “formed” by way of Scalar Energy. Any person who does not feel comfortable trying the Natural Foods Program due to allergies or intolerances can certainly try another program like the Standard Scalar sessions which assembles only nutrients and not foods. Q: What Might I Expect While Using Scalar? A: Scalar Energy is sunlight and starlight and hence everyone is constantly exposed to this type of energy. However, some people are more sensitive to Scalar Energy than others. There have been numerous people claiming that they felt “nothing different” and others whose lives changed dramatically just during the free trial period. This is a unique way to align human energies and bring about a greater sense of wellness and homeostasis for everyone. Changes that appear subtle can actually be quite profound as most everyone wants more energy, better sleep and more resilience to stress. Few possess these desired health benefits. Benefits such as this are felt subtly but create a powerful shift that markedly enhance the well-being of the user. BENEFITS: Benefits could include being free of a long-standing pathogenic disease and reducing/eliminating any associated symptoms. Most everyone sleeps better and deeper. Dreaming may be more vivid. Skin typically improves in texture/appearance. EMOTIONS: Occasional bouts of emotionality can surface as old emotional baggage that no longer serves us makes way for a more harmonious energy. Remember, energy can never be destroyed. PETS: Animals get extremely good results with Scalar sessions as an animal has no bias. You will observe the difference in your pets. CHANGES: We hear from some users that they feel “tired” and did not expect that. Typically, a user will feel more energy however; since no two beings are alike, Scalar Energy could provoke some tiredness initially. Surrender to the rest as this signals an effort to assure that person GETS more restorative sleep. This will pass. These are just some of the comments we hear. What you may experience may be similar or completely different. Should you want to share any experience you can reply to any email we send. You will be answered either by Tom himself or a certified Health Coach well versed in the Scalar Energy programs used. TESTIMONIALS: We will never use a testimonial without permission and your name is not necessary. Providing testimonials obviously validates our successes and makes this amazing modality more appealing for others to try. Q: Are There Any “Side Effects” A: Each program will produce a change or shift in your mind and body as the body is healing. There is a “Purge and Release” that occurs with the Pathogen Cleanse as the pathogen is transmuted as well as the toxins and mycotoxins inside the pathogen. 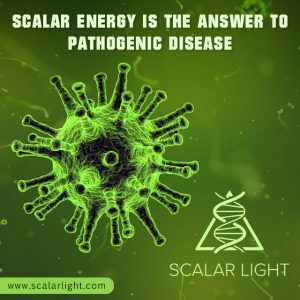 As a fundamental force in nature, scalar energy negates the molecular bonds of both the pathogen as well as the associated toxin found inside an infectious agent. As a result, some people experience this purging for 1 – 2 days as the body eliminates these pathogens and toxins from the body. A feeling of “low energy” typically accompanies this short-term purging process. Again, this is not a CHEMICAL process. We recommend surrendering to the need to rest. Drink extra water. Epsom salt or bentonite clay baths are helpful. To move lymph, dry skin brushing is simple enough to be done by most everybody. These feelings are normal and will give way to much better energy and deep restful sleep. TERMINOLOGY: We do not use or convey the terminology: Detoxing  Herxheimer These terms infer a chemical process and Scalar Energy sessions are not working at a chemical level. PURGE AND RELEASE is the preferred term and is a gentle healing reaction as the body works harder to eliminate undesirable or excess material. Q: I have herpes. I finished the 15-day trial, but I am still breaking out in lesions. A: After the VERY FIRST Scalar Session, the Herpes “Pathogen” will be eradicated in every single person every single time. Herpes 1 and 2 are diseases that has an affinity for the nerves and nerves are covered with sheaths. This coating is called “myelin.” These coverings of the nerves are much like the plastic coating over electrical wires. When this is eroded due to repeated outbreaks from disease, the myelin sheath (nerve covering) wears away. This is called “de-myelination” and it does heal immediately. The nerves are similar to a live electrical wire. The longer a person has herpes, the longer they may have outbreaks at the nerve ending. The damage is typically more significant with those having the disease longer. There must be a “re-myelination” of the nerves and this will take some time to heal. Staying on our Standard Scalar session for several months (we usually recommend minimum 4 months at a time) will allow for the nutrient therapy and its components to provide increased nutrition for the act of rebuilding this myelin. This does NOT mean that the herpes virus was not transmuted (eradicated). The nerves will begin to heal and cease to react. Typically, 3 months to 9 months is common. Others have taken about a year to fully heal. The great news is that a person with herpes becomes unable to transmit the disease immediately. Staying on Scalar for 4 months or until “symptom free” is recommended for those whose suffering has been longstanding. Q: I read that Scalar can address some heavy metals and chemicals. Is there a Scalar Session to help with GMO foods? A: The Scalar Energy pathogenic cleanse addresses heavy metals such as mercury, arsenic, lead, aluminum, etc. The Addiction and Chemical Cleanse Therapy (ACCT) includes our Standard Scalar components of chakra, nutrient and pathogen cleanses. What you are about to experience, and share is not new. As a matter of fact, it has been in existence since the beginning of time. An “energy” that has formed and maintained all life before us and will continue its rhythm indefinitely. Even long after we are gone. Being able to harness and utilize it in this manner IS new. Protons, neutrons, and electrons are assembled from the ether and subsequently disassembled back into the ether by way of Scalar Energy. The essence of Scalar Energy, the fundamental force in nature has also been known around the globe by many names. Qi (pronounced CHI), Prana, Creative Strength/Intelligence, Radiant Energy or Zero Point Energy. These are just a few names given to this universal life force. But regardless of what you call it, there are unmistakable qualities that our universal energy is known for. Q: Has Anyone Else Ever Done What Tom is Doing? A: Scalar Energy Research Pathogen Cleanse History Tom has closely followed in the footsteps of some of the greatest minds in the world such as T. Galen Hieronymus, Moray, Priore’ and of course, Nikola Tesla. However, Tom’s instruments are believed to be “one of a kind.” Hieronymus destroyed pathogens and increased nutrients in the soil of agricultural fields with Scalar Energy. Hieronymus’ experiments led to healthier crops with increased nutrient capacity. His technology was called “The Cosmic Pipe.” The use of this technology still exists today in some European countries. And, using Scalar Energy is as harmless as having the sun shine upon you. New protocols are being developed constantly and Tom has spent tens of thousands of hours perfecting the efficacy of the current programs he offers. Imagine the moon brightly lit with many stars twinkling. As you enjoy time watching the tide go out or in, you are experiencingScalar Light Energy. Just as scalar energy is the instruction responsible for our earth turning and the sun rising or setting, it is the force behind each thought we have. Thought IS Scalar Energy. Have you experienced this? You think of someone. They telephone you and you say “Gee it’s funny you called. I was just thinking of you.” You guessed it! Scalar Energy. And it happens much faster than the speed of light. Everything we experience in our universe today began with a thought. Our thoughts become reality. That is, every thought is a broadcast of scalar energy that will create the events of our lives. Our thoughts and emotions are examples of scalar energy wave forms and these emanations are directly responsible for our creativity, work ethic, psychological state, purpose in life and desires. Hence, Scalar Energy serves as the cause – the fundamental form or energy – responsible for our thoughts and actions. MIND over MATTER to be exact. And to be clear, Scalar Light Energy is NOT of the electromagnetic spectrum. Electromagnetic energy is a downfall for human health. You may already know that Tom directs Scalar Energy to humans or animals “by way of a photograph of their skin” to reach ANYWHERE in the world. By sharing this amazing gift with as many people as you can all over the world it is our belief that together we can help cure the world of pathogenic disease. It is quite beneficial also that antibodies remain intact during the pathogenic cleanse and Scalar sessions will not disrupt the immune system or antibodies. The pathogenic cleanse is run daily for ONE HOUR. During the remaining 23 hours of the day we will be exposed to many pathogens. Antibodies are essential to fighting these pathogens. The possibilities that our path will cross with another pathogen (which may or may not have been eradicated is quite possible.) Re- infection can occur. Q: What else is included in the Standard Scalar Session that could enhance wellness? A: We have learned how Tom Paladino and his unique Scalar Energyinstruments form favorable physical forms as well as disassemble unfavorable physical forms in the human or animal body. But additionally, he can instruct his equipment to re-align the seven chakras of the body by way of Scalar Energy. As energetic beings when our body or mind are out of balance, it is like static on your television set. It’s annoying, frustrating, frantic and out of sync and – It’s palpable. Scalar waves can bring about a more even keel feeling and a greater sense of well -being. When our “energies” are blocked or out of whack, we can feel this in our physical being and in our state of mind or spirit. Scalar Energy is Meant to be Shared Q: Why do we give away Scalar Sessions? A: Because this energy is meant to be shared by us all for the benefit of humankind. Now that we know about and understand Scalar Energy better we have an obligation to share it don’t we? Here Tom Paladino talks about the Standard Scalar Sessions. Feel free to share this Video! Q: How does Scalar reach me through my photograph? A: The photograph of a person represents their unique Scalar Energy “harmonic” or light signature thereby allowing a scalar energy instrument to locate and subsequently broadcast Scalar Energy to that individual. The scalar harmonic signature in the photograph is responsible for the remote sessions to be delivered to any person or animal anywhere in the world. The photograph can be recent or older and any part of skin is all that is required. Think of calling someone on their cell phone. The phone number helps identify WHICH phone will ring out of ALL the phone in existence. Your photo instructs the scalar equipment to LOCATE the person or animal in the photo and DELIVER the energy to that person as instructed. Imagine what we could do together with group photographs of chronic disease sufferers all over the world! This IS our Global Wellness Initiative. 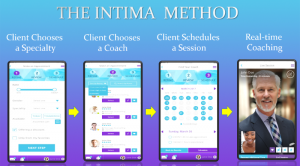 tools to improve the well-being of clients. Scalar Energy Healing will prove to be one of those tools moving forward. We anticipate Scalar Energy to be well received in the coming years. Wouldn’t it be great to be part of history? Statistics from 2007 show that 4 out of every 10 people were using some form of energy therapy. That number has grown staggeringly since then. Energy healing does not discriminate by age, gender or genetics or belief. We are energetic beings by nature. By divine design. If you think you have never used an energy therapy, think about this: Just by eating raw healthy plant foods we are healing with energy! Raw food has an “energetic signature” that imprints upon our cells and helps us make more energy. There is a “vital life energy” that passes to us with each bite. One would agree that the Egyptian Pyramids are a mind-boggling wonder and it is hypothesized that Scalar Energy had a major role in the formation of these amazing structures. So, now you know and understand what Scalar Energy is and understand that is not to be feared but embraced. Why not try it with your family and friends? Because Global Wellness IS our DIVINE MISSION we offer you and your circle of influence to try ALL of our current programs absolutely free of charge AND, you can feel free to obtain a special link to share with your friends, so they can do the same. *(Contact Sacha to find out more about this! )* If your experience is beneficial you will be more likely to share it with others since there is no obligation. You see, it takes people just like YOU who can help us spread message that Tom Paladino has been able to harness the power of “universal energy” and uses it for the greater good. 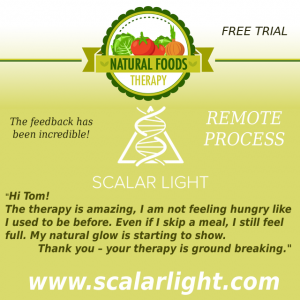 The Scalar Energy Nutrient Therapy can serve as a beneficial adjunct to many healing protocols. “Another case of Herpes Simplex Virus Type II has ended on a positive note with the scalar energy pathogen cleanse eradicating it. Below is the result of a polymerase chain reaction test of an individual that suffered from herpes simplex virus type 2 infection for over fifteen (15) years. The test result is: “Not detected” The scalar energy pathogenic cleanse has served to disassemble and eradicate the herpes simplex virus type 2 from this individual as the virus no longer exists. After fifteen (15) years of being infected with the herpes simplex virus type 2, this individual is now cured of the viral infection. Furthermore, this individual does not suffer from any of the symptoms associated with herpes simplex virus type 2 infection. All symptoms of the herpes viral infection have ceased. 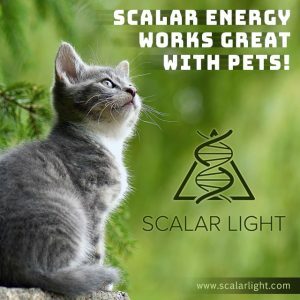 Scalar energy is a fundamental force in nature that originates from the Sun of our solar system as well as the stars of the universe and is responsible for the molecular bonds of all physical matter. Correspondingly, scalar energy is also responsible to assembling and maintaining the molecular bonds of pathogens such as viruses, bacteria, fungi, protozoan and prions. Scalar energy can be utilized to negate the molecular bonds of pathogens thereby disassembling these infectious agents into smaller, harmless forms of matter. In practice, the scalar energy pathogenic cleanse is designed to negate the molecular bonds of pathogens thereby causing any infectious agent to disassemble into smaller, harmless forms of matter. For instance, the herpes simplex virus can be easily disassembled by way of the scalar energy pathogenic cleanse. In effect, scalar energy negates the ionic, covalent, polar covalent and hydrogen bonds that serve to assemble and maintain the herpes simplex virus. Subsequently, the negation of these molecular bonds will cause the herpes simplex virus to disassemble into smaller, harmless proteins. Ultimately, this process of transmutation will cause the herpes simplex virus to cease to exist. The validity of the scalar energy pathogenic cleanse can be proven by way of a diagnostic test known as the polymerase chain reaction test. A polymerase chain reaction test ascertains the presence or absence of the genetic material of a pathogen. Each pathogenic species possesses unique genetic material, such as an DNA or RNA sequence, and it is these nucleotide sequences that can be detected by way of a polymerase chain reaction test. The herpes simplex virus likewise contains a unique nucleotide sequence that can be detected by way of a polymerase chain reaction test. Thus, the presence of the nucleotide sequence of the herpes simplex virus can be considered as a present infection with a measurable viral load by way of the polymerase reaction test. Whereas, the absence of any nucleotide sequence of the herpes simplex virus can be considered as an absence of infection with no measurable viral load. In synopsis, the scalar energy pathogenic cleanse is able to disassemble and eradicate the herpes simplex virus type 2 thereby bringing permanent and lasting relief to people who have suffered from this viral infection. Scalar energy negates the molecular structure of the herpes simplex virus type 2 thereby causing the pathogen to cease to exist. 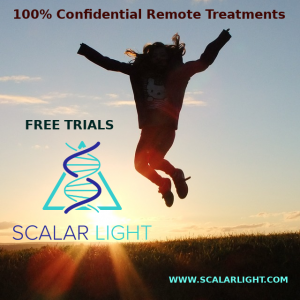 The scalar energy pathogenic cleanse serves as a dependable treatment that can easily disassemble and eradicate the herpes simplex virus type 2.